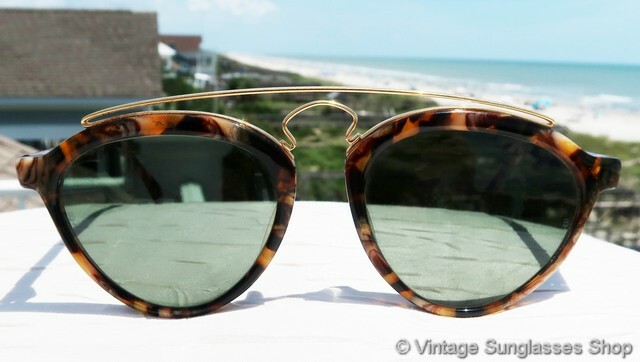 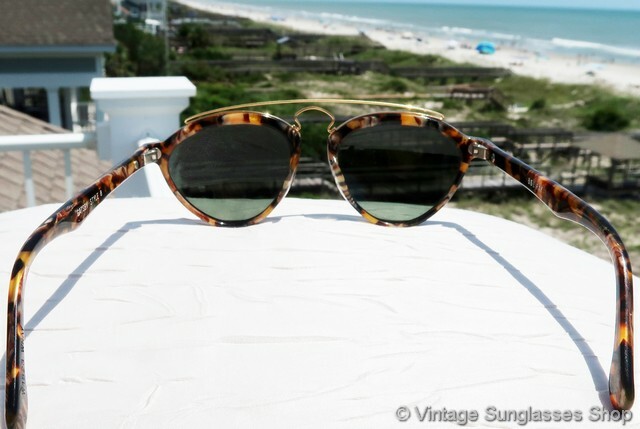 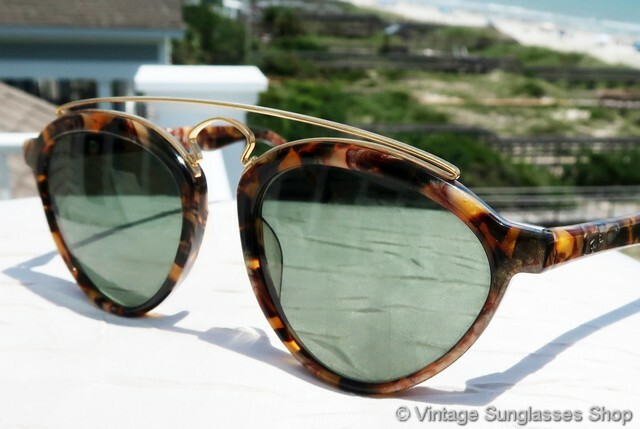 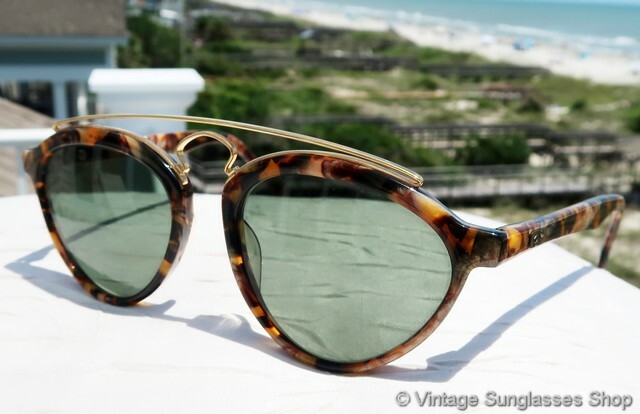 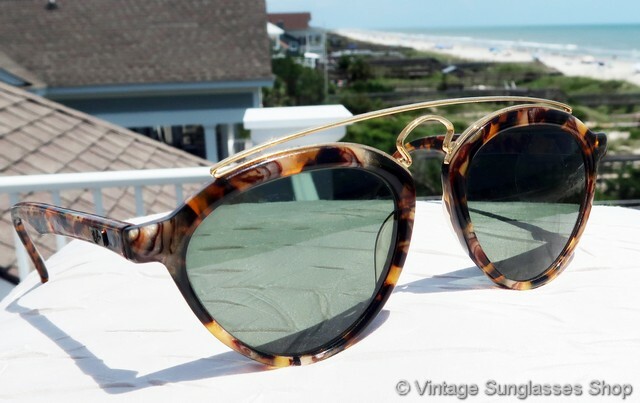 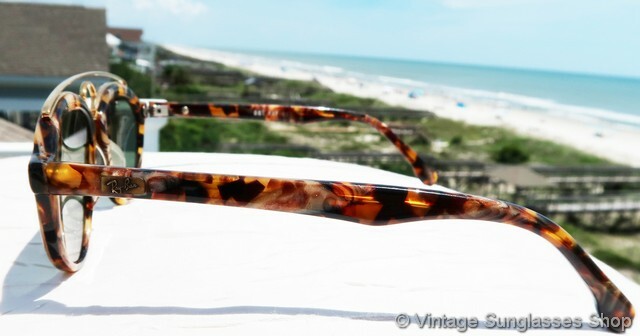 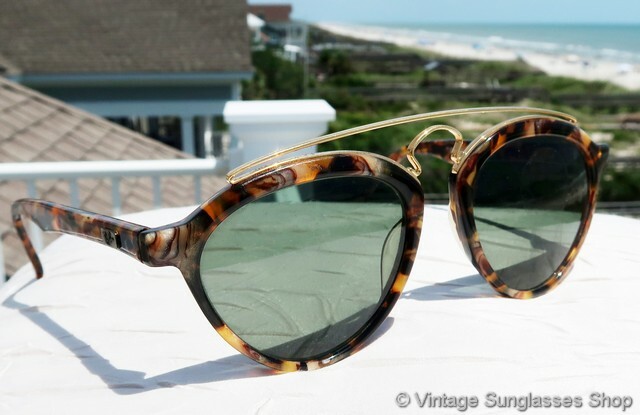 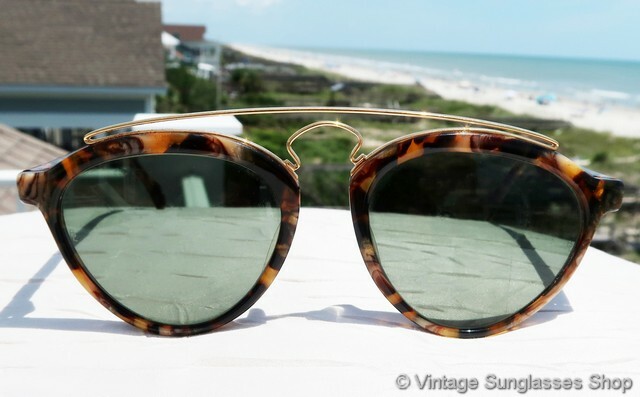 1 Vintage Ray-Ban W1523 Gatsby Style 8 sunglasses have all the bells and whistles that you would expect in a B&L interpretation of Gatsby style sunglasses, with a unique shape and rich tortoise shell frame combining with double gold plated nose bridge. 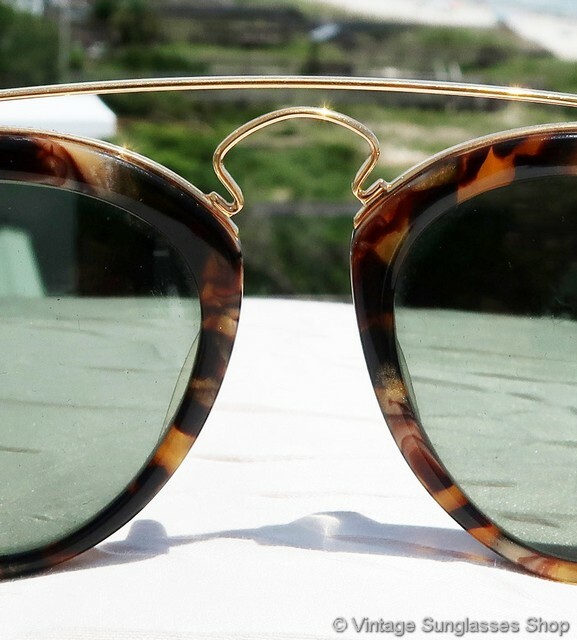 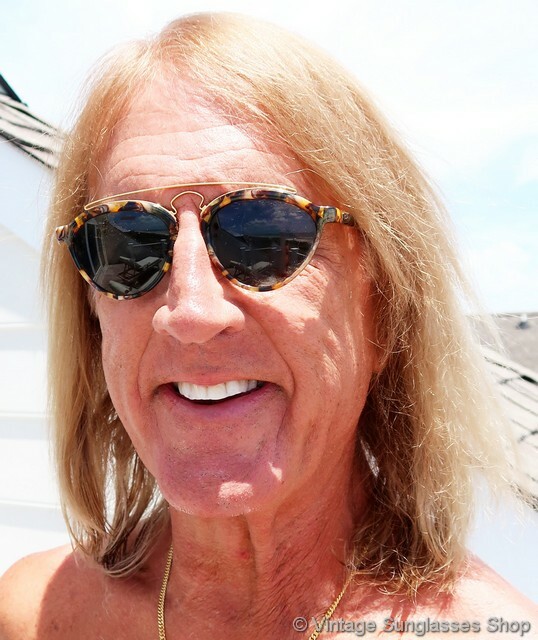 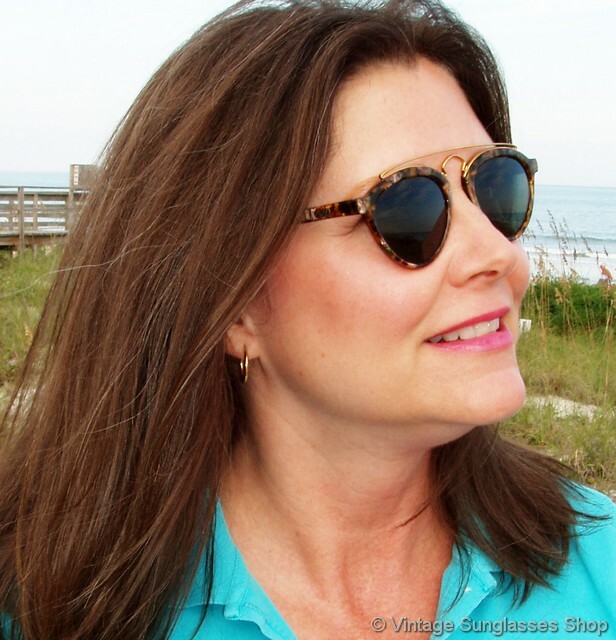 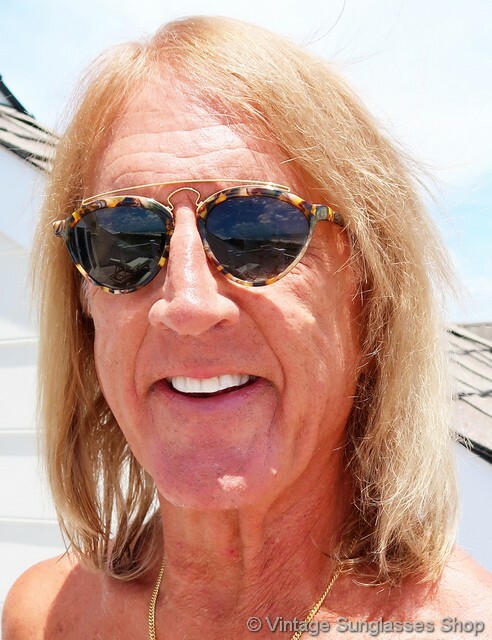 The combination of materials and shape of these sunglasses rest comfortably on the face while providing a look that is clearly out of the ordinary. 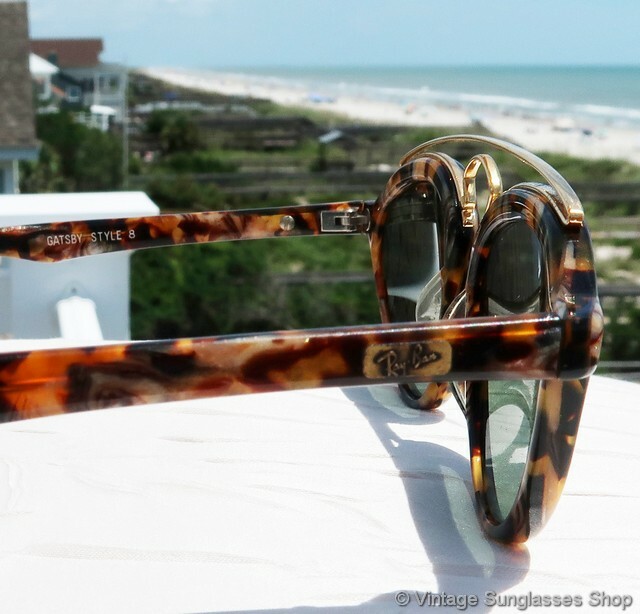 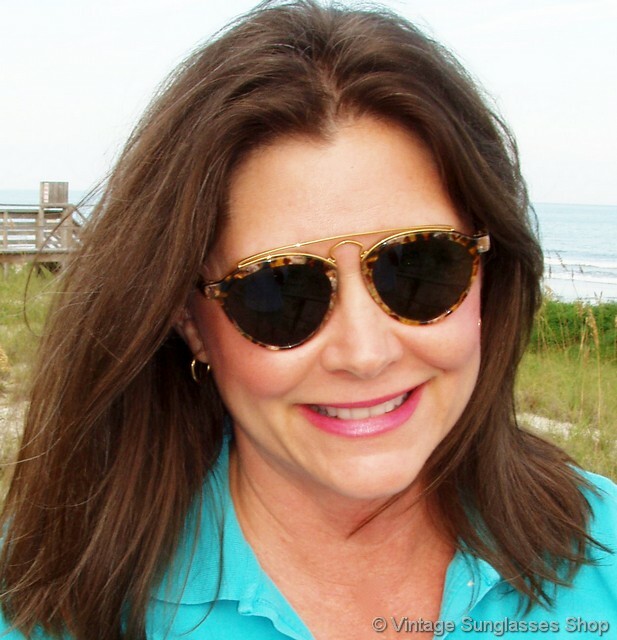 The unisex Ray-Ban W1523 Gatsby frame measures approximately 5.25" temple to temple, and the G-15 mineral glass lenses measure approximately 1.875" x 1.75" at the widest points with both lenses laser etched BL near the hinges. 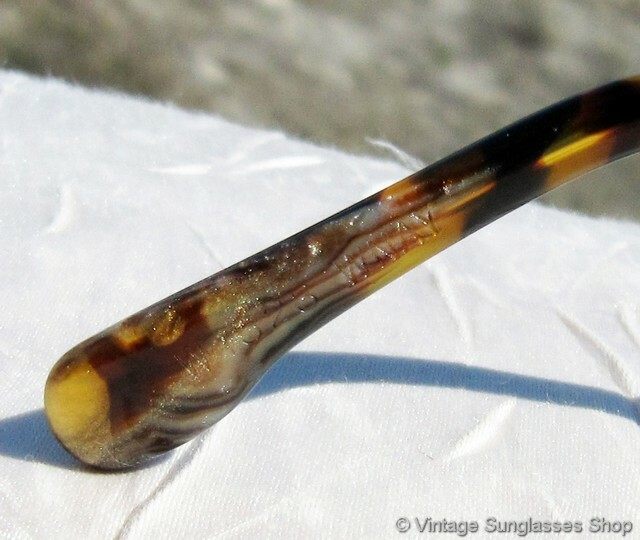 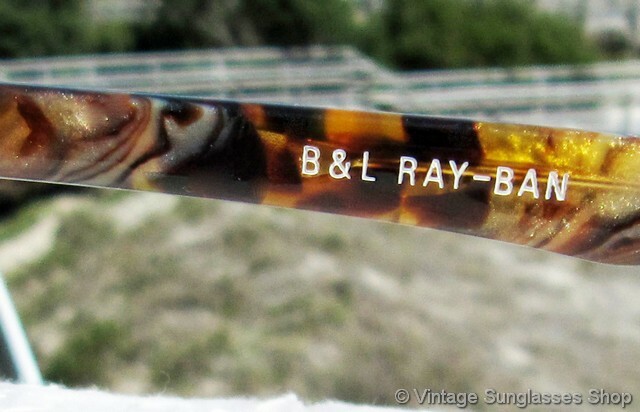 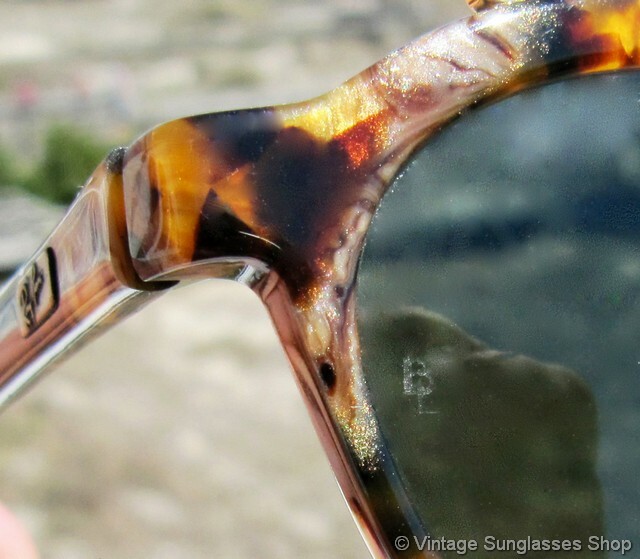 You'll find the Ray-Ban logo on a gold tab on the exterior of both ear stems, and the inside of one ear stem is marked B&L Ray-Ban while the inside of the other stem is marked Gatsby Style 8 W1523, direct from a well known TV and movie industry figure and long time customer of the Vintage Sunglasses Shop. 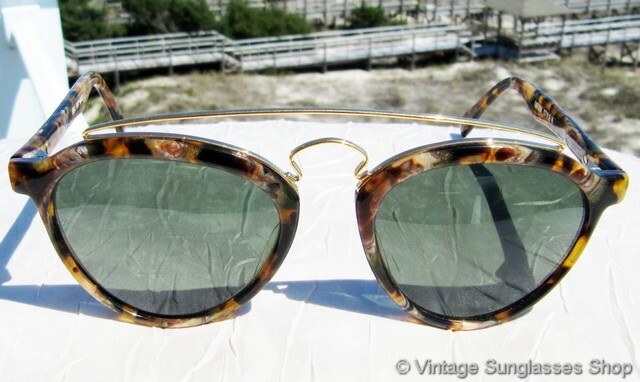 2 Step up another level beyond our already unequaled vintage condition standards with new old stock Ray-Ban W1523 Gatsby Style 8 sunglasses in mint, unworn condition..